Bachman Turner Overdrive are considered some of the godfathers of Canadian rock and roll and remain actively popular to this day. 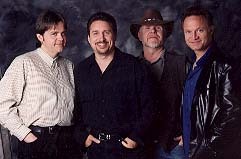 Forming in the early 1970’s, BTO consisted of ex-Guess Who members Randy Bachman and Chad Allen, as well as Robbie Bachman and Fred Turner. The band had a number of hit albums, which produced such well-known songs as “Hey You” and “You Ain’t Seen Nothing Yet”. After a career that spanned close to ten years, the band disbanded in 1980, with some of the band members pursuing solo careers.